Food contest to be held to link Nepali dishes with tourism - Integration Through Media ....! 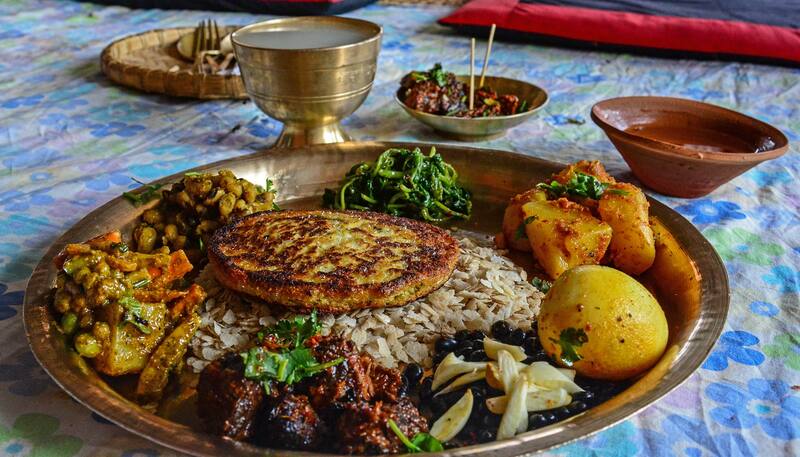 KATHMANDU: The Sneha Travel Media is holding a food contest to connect the traditional and ethnic Nepali dishes with tourism. The first ever, ‘Sagatani Axim College Chef Icon – 2018’ is being held to link the Nepali food with tourism. A total of 36 students from 12 different colleges will take part in the competition. In the competition taking place from May 29 to July 14, students will compete to prepare Nepali traditional dishes, ethnic dishes, continental, Italian, Indian and Chinese dishes. Sneha Travel Media Nepal’s Managing Director, Suresh Chandra Basnet, said the students taking part in the contest were provided training at the Unicampus in Putalisadak on Saturday. “We are holding the competition by keeping the colleges at the centre so as to enhance the capabilities of the students’ enrolled at different colleges of Nepal,” he added. The judges in the contest will be Surya Kiran Shrestha, Sri Ram Adhikari, Laxman Prasad Bhandari, Dr Sanjaya Jammal, Yuvaraj Pokharel, Suresh Chandra Basnet and Krishna Kaji Basnet. They are all chefs at Nepal’s prestigious hotels. The winning student will be handed a cash prize of Rs 50,000 and kitchen set, the first – runner up will take home Rs 30,000 and kitchen set while the second – runner up will be awarded a cash prize of Rs 15,000 and kitchen set.